I am using upayogee Society management software for my housing society for the past 3 months and very happy with this software. Maharashtra was ruled by the Maurya Empire in the 4th and 3rd century BC. Around 230 BCE Maharashtra came under the rule of the Satavahana dynasty for 400 years. The greatest ruler of the Satavahana Dynasty was Gautamiputra Satakarni. In 90 AD Vedishri, son of the Satavahana king Satakarni, the "Lord of Dakshinapatha, wielder of the unchecked wheel of Sovereignty", made Junnar, thirty miles north of Pune, the capital of his kingdom. The state was also ruled byKharavela, Western Satraps, Gupta Empire, Gurjara-Pratihara, Vakataka,Kadambas, Chalukya Empire, Rashtrakuta Dynasty, and Western Chalukya before finally, the Yadava rule. 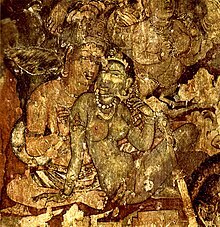 The Buddhist Ajanta Caves in present-day Aurangabaddisplay influences from the Satavahana and Vakataka style. The caves were possibly excavated during this period. The Chalukya dynasty ruled from the 6th century to the 8th century CE and the two prominent rulers were Pulakesi II, who defeated the north Indian Emperor Harsha, and Vikramaditya II, who defeated the Arab invaders in the 8th century. The Rashtrakuta dynasty ruled Maharashtra from the 8th to the 10th century. The Arab traveller Sulaiman described the ruler of the Rashtrakuta Dynasty (Amoghavarsha) as "one of the 4 great kings of the world". From the early 11th century to the 12th century the Deccan Plateau, which includes a significant part of Maharashtra, was dominated by the Western Chalukya Empire and the Chola dynasty.Several battles were fought between the Western Chalukya Empire and the Chola dynasty in the Deccan Plateau during the reigns of Raja Raja Chola I, Rajendra Chola I, Jayasimha II, Somesvara I and Vikramaditya VI. In the early 14th century the Yadava dynasty, which ruled most of present-day Maharashtra, was overthrown by the Delhi Sultanate ruler Ala-ud-din Khalji. Later, Muhammad bin Tughluq conquered parts of the Deccan, and temporarily shifted his capital from Delhi to Daulatabad in Maharashtra. After the collapse of the Tughluqs in 1347, the local Bahmani Sultanate of Gulbarga took over, governing the region for the next 150 years. After the break-up of the Bahamani sultanate in 1518, Maharashtra split into five Deccan Sultanates: Nizamshah of Ahmednagar, Adilshah of Bijapur, Qutubshah of Golkonda,Bidarshah of Bidar and Imadshah of Elichpur. These kingdoms often fought with each other. United, they decisively defeated the Vijayanagara Empire of the south in 1565. The present area of Mumbai was ruled by the Sultanate of Gujarat before its capture by Portugal in 1535 and the Faruqi dynasty ruled the Khandesh region between 1382 and 1601 before finally getting annexed by the Mughal Empire. Malik Ambar was the regent of the Nizamshahi dynasty of Ahmednagar from 1607 to 1626. During this period he increased the strength and power of Murtaza Nizam Shah and raised a large army. Malik Ambar is said to have been a proponent of guerilla warfare in the Deccan region. Malik Ambar assisted Mughal emperorShah Jahan in Delhi against his stepmother, Nur Jahan, who had ambitions of seating her son-in-law on the throne. By the early 17th century, Shahaji Bhosale, an ambitious local general in the service of the Mughals and Adil Shah of Bijapur, attempted to establish his independent rule. His son Shivaji succeeded in establishing the Maratha Empire which was further expanded during the 18th Century by the Bhat family Peshwas based inPune, Bhonsle of Nagpur, Gaekwad of Baroda, Holkar of Indore, Scindia andMahadik of Gwalior. The Marathas defeated the Mughals, and conquered large territories in Northern and Central parts of the Indian subcontinent. After their defeat at the hand of Ahmad Shah Abdali's Afghan forces in the Third Battle of Panipat in 1761, the Maratha suffered a setback. However, the Marathas soon regained lost influence and ruled central and north India including New Delhi until the end of the eighteenth century. The Third Anglo-Maratha war (1817–1818) led to the end of the Maratha Empire and East India Company ruled the country in 1819. The British governed Western Maharashtra as part of the Bombay Presidency, which spanned an area from Karachi in Pakistan to northern Deccan. A number of the Maratha states persisted as princely states, retaining autonomy in return for acknowledging British suzerainty. The largest princely states in the territory wereNagpur, Satara and Kolhapur; Satara was annexed to the Bombay Presidency in 1848, and Nagpur was annexed in 1853 to become Nagpur Province, later part of the Central Provinces. Berar, which had been part of the Nizam of Hyderabad'skingdom, was occupied by the British in 1853 and annexed to the Central Provinces in 1903. However, a large part called Marathwada remained part of the Nizam's Hyderabad State throughout the British period. The British rule was marked by social reforms and an improvement in infrastructure as well as revolts due to their discriminatory policies. At the beginning of the 20th century, the struggle for independence took shape, led by extremists like Bal Gangadhar Tilak and Vinayak Damodar Savarkar and the moderates like Justice Mahadev Govind Ranade, Gopal Krishna Gokhale, Pherozeshah Mehta and Dadabhai Naoroji who were all born in this region.After the partial autonomy given to the states by the Government of India Act of 1935, B. G. Kher became the first Chief Minister of the Congress party led Government of tri-lingual Bombay Presidency. The ultimatum to the British during the Quit India Movement was given in Mumbai, and culminated in the transfer of power and independence in 1947. After India's independence, the Deccan States, including Kolhapur were integrated into Bombay State, which was created from the former Bombay Presidency in 1950. In 1956, the States Reorganisation Act reorganised the Indian states along linguistic lines, and Bombay Presidency State was enlarged by the addition of the predominantly Marathi-speaking regions of Marathwada (Aurangabad Division) from erstwhile Hyderabad state andVidarbha region from the Central Provinces and Berar. The southernmost part of Bombay State was ceded to Mysore. From 1954–1955 the people of Maharashtra strongly protested against bilingual Bombay state and Samyukta Maharashtra Samiti, under the leadership of Gopalrao Khedkar, was formed. The Mahagujarat Movement was started, seeking a separateGujarat state. Keshavrao Jedhe, S.M. Joshi, Shripad Amrit Dange, Pralhad Keshav Atre and other leaders fought for a separate state of Maharashtra with Mumbai as its capital under the banner of Samyukta Maharashtra movement. On 1 May 1960, following mass protests and 105 deaths, the separate Marathi-speaking state was formed by dividing earlier Bombay State into the new states of Maharashtra and Gujarat. The state continues to have a dispute with Karnataka regarding the region of Belgaum and Karwar. Maharashtra cuisine covers a range from mild to very spicy dishes. Wheat, rice,jowar, bajri, vegetables, lentils and fruit form staple food of the Maharashtrian diet. Some of the popular dishes include puran poli, ukdiche modak, and batata wada.Meals (mainly lunch and dinner) are served on a plate called thali. Each food item served on the thali has a specific place. In some households, meals begin with a thanksgiving offering of food (Naivedya) to the household Gods. Maharashtrian cuisine has many regional varieties including Malvani (Konkani) andVaradhi. Though quite different, both use a lot of seafood and coconut. The bhaajis are vegetable dishes made with a particular vegetable or a combination. They require the use of goda (sweet) masala, essentially consisting of some combination of onion, garlic, ginger, red chilli powder, green chillies and mustard. Depending on the caste or specific religious tradition of a family, onion and garlic may not be used in cooking. A particular variant of bhaaji is the rassa or curry. Vegetarians prepare rassa or curry of potatoes and or cauliflower with tomatoes or fresh coconut kernel and plenty of water to produce a soup-like preparation rather than bhaaji.Varan is nothing but plain dal, a common Indian lentil stew. Aamti is variant of the curry, typically consisting of a lentil (tur) stock, flavoured with goda masala, tamarind or amshul, and jaggery (gul). Among seafood, the most popular fish is bombil or the Bombay duck.All non-vegetarian and vegetarian dishes are eaten with boiled rice or with bhakris, which are soft rotis made of rice flour. Special rice puris called vada and amboli, which is a pancake made of fermented rice, urad dal, and semolina, are also eaten as a part of the main meal. Maharashtra has given major contributions to Indian Classical music. Its vibrant folk form includes Powada, Bharuds and Gondhals. Cities like Kolhapur and Pune have been playing a major role in preservation of music like Bhavageet andNatya Sangeet, which are inherited from Indian classical music. The songs from Hindi films and Marathi films are popular in urban areas. Maharashtra’s regional literature is about lives and circumstances of Marathi people in specific parts of the state. TheMarathi language, which boasts a rich literary heritage, is a Sanskrit-derived language and is written in the Devanagariscript.The earliest instances of Marathi literature is by Sant Dnyaneshwar with his Bhawarthadeepika (popularly known as Dnyaneshwari). The compositions, written in the 13th-century, are spiritually inclined. Other compositions are by Bhaktisaints such as Tukaram, Eknath, Namdev, Ramdas, and Gora Kumbhar. Their compositions are mostly in poetic form, which are called Abhang. Maharashtra has a long tradition in spiritual literature, evidenced by the Amrutanubhav, Bhavarth Deepika, Bhagavata Purana, Eknathi Bhagwat and Bhavarth Ramayan. 19th century Marathi literature icludes the works of authors such as Balshastri Jambhekar, Gopal Ganesh Agarkar, Bal Gangadhar Tilak, Gopal Hari Deshmukh, Mahadev Govind Ranade, Jyotirao Phule, B.R. Ambedkar, Vinayak Damodar Sawarkar, Ram Ganesh Gadkari, Tryambak Bapuji Thombre Hari Narayan Apte, Vishnushastri Chiplunkar and Keshavsuta. 20th century notable writers include Mahadevshastri Joshi, Kusumagraj, Pu La Deshpande, Vyankatesh Digambar Madgulkar, Vishnu Sakharam Khandekar, Prahlad Keshav Atre, B.S.Mardhekar, Sane Guruji, Vinoba Bhave, Chintamani Tryambak Khanolkar, Bahinabai Chaudhari and Laxmanshastri Joshi. Vishwas Patil, Ranjit Desai, Shivaji Sawant, Narayan Surve, Vinda Karandikar, Shanta Shelke, Durga Bhagwat, Suresh Bhat, Ratnakar Matkari, Varjesh Solanki, Manya Joshi,Hemant Divate, Mangesh Narayanrao Kale and Saleel Wagh are some of the more recent authors. Maharashtra is a prominent location for the Indian entertainment industry, with many films, television series, books, and other media being set there. Mainstream Hindi films are popular in Maharashtra, especially in urban areas. Mumbai is the largest center for film and television production and a third of all Indian films are produced in the state. Multi-million dollarBollywood productions, with the most expensive costing up to 150 billion (US$2.4 billion), are filmed there. The Marathi film industry, previously located in Kolhapur, has spread throughout Mumbai. Well known for its art films, the early Marathi film industry included acclaimed directors such as Dadasaheb Phalke,and V. Shantaram. Dada Kondke is the most prominent name in Marathi film. The Dadasaheb Phalke Award is India's highest award in cinema, given annually by theGovernment of India for lifetime contribution to Indian cinema. Theatre in Maharashtra can trace its origins to the British colonial era in the middle of the 19th century. It is modelled mainly after the western tradition but also includes forms like Sangeet Natak (Musical drama). In recent decades, Marathi Tamashahas been also been incorporated in some experimental plays. Today, theatre continues to have a marked presence inMumbai and Pune with an educated loyal audience base, when most theatre in other parts of India have had tough time facing the onslaught of cinema and television. Its repertoire ranges from humorous social plays, farces, historical plays, musical, to experimental plays and serious drama. Marathi Playwrights such as Vijay Tendulkar, P. L. Deshpande, Mahesh Elkunchwar and Satish Alekar have influenced theatre throughout India. Besides Marathi theatre, Maharashtra and particularly, Mumbai, has had a long tradition of theatre in other languages such as Gujarati, Hindi and English.